Seniors vote more than anyone (over 70 percent of those age 65 and older vote compared to less than 50 percent of 18 to 29 year olds). 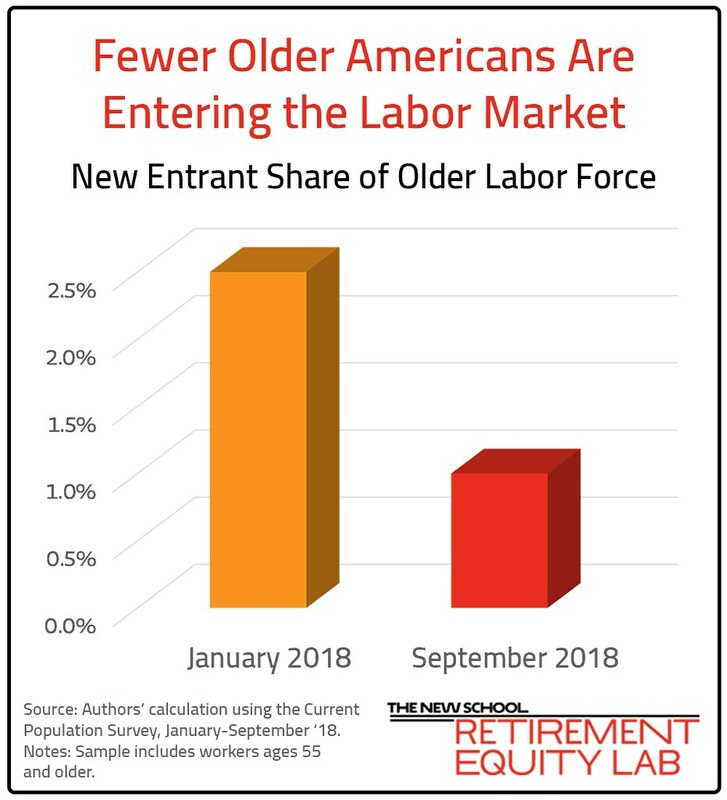 Seniors also are the nation's fastest growing demographic group, with a 75 percent growth rate compared to less than 10 percent for other groups. How government affects elderly voters affects the political life of this country. Older voters are consistent voters, known also as "always voters" because of their consistent turnout. According to the Pew Charitable Trusts “A 65 percent majority of consistent voters were 50 and older." So how did these "always voters" vote in the midterm election, and what might that signal for future political outcomes? For some time, older voters have been among the strongest demographic group supporting Republicans. But in the midterms, older voters (like all age groups) seemed to shift to the Democrats, though the analysis is not done yet on exit polls so these conclusions could change. A Washington Post article reports the swing to Democrats among those over age 65 was smaller than among other age groups and the older voters remain the only group inclined to vote Republican. In fact, they appear to be the only age group giving a majority of their votes to Republicans, although even older voters came close to 50 percent support for Democrats. 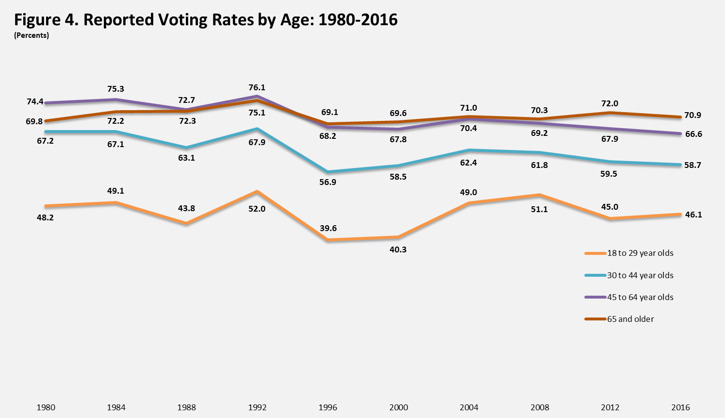 The younger the voter, the more Democratic they are. But the sheer size of the older voter cohort makes them a powerful political force. Writer and Social Security advocate Nancy Altman writes that older voters moving towards the Democrats may make Social Security, Medicare and Medicaid critical issues in the next election. I would add that retirement policy generally is becoming more and more important, as the consequences of the failed 401 (k) system become more and more apparent. So now Democrats will control the House, while Republicans retain control of the Senate. How might that affect the framing and actions on retirement policy in the next two years? Here is what I expect the 116th Congress to do on key policies related to retirement. Congressman John Larson (D-Conn.), co-chair of the Expand Social Security Caucus, will chair the House Ways and Means Subcommittee on Social Security. He has a comprehensive bill to expand Social Security’s modest benefits and also raise revenue. We should expect more information on Social Security’s ability to prevent poverty while getting more tax revenue without distorting economic growth. We also may hear about bolder Social Security finance options including dedicating a restored estate tax to Social Security and raising the earnings cap beyond the 2019 ceiling of $132,900. We also may see House Democratic majority bills aimed at improving Medicare by adding vision, hearing, and dental. But in our constitutional design, Congress also has an important oversight function in addition to its lawmaking powers. That role has been neglected during the Trump Administration's first two years, but I expect House Democrats to aggressively play the role that the Constitution envisons, and hold the executive branch responsible for its actions. For example, the Trump administration has scaled back consumer protections and oversight of nursing homes while reducing their fines for violations. There may even be some chance of bipartisan progress and agreement, such as that which fellow Forbes contributor Howard Gleckman argues we are seeing in changes to Medicare Advantage plans. Also watch for hearings on lowering the cost of prescription drugs, with Democratic proposals to have the government aggressively negotiate lower prices. The Veterans Administration already does this, with up to 50 percent reductions in drug prices for their clients. With Democrats controlling the House, Trump and Congressional Republicans will need to decide on whether to cooperate on policies such as expanding Social Security and restoring it to long-range actuarial balance; improving Medicare and Medicaid; and lowering prescription drug prices. Republicans, like Democrats, can count votes, and they see the size and importance of elderly voters. But I don’t expect Republicans in the Senate to advocate cutting Social Security and Medicare to reduce projected federal deficits, in spite of their long-standing party opposition to such programs, and Senate Majority Leader Mitch McConnell's hint that they might attack those programs. Instead, I expect House Democrats to point--correctly--to the Republican tax cuts as the main driver of rising deficits, which could spark more contentious debates. Even with the desire of both parties to appeal to older voters, it remains to be seen whether cooperation or confrontation dominates the policy debate. Meanwhile red state voters expanded the ACA’s Medicaid in Idaho, Nebraska and Idaho though all three states voted for President Trump in 2016 -- 500,000 people will gain health insurance. Rep. Richie Neal (D-MA), likely will become chairman of the powerful House Ways & Means committee. Neal has an interest in retirement policy, and has introduced bills aimed at shoring up retirement savings to cover 63 million American workers with no pensions at work. I am worried incentives to get people covered are very expensive in terms of tax breaks and regulatory red tape. A universal system would be more efficient. Ideas for expanding the failed 401(k) and IRA system include establishing new automatic safe harbor rules, changes to minimum default contributions, matching contributions and a special tax credit. All voluntary and no employer contributions are proposed in the current line up of pension reforms. Rep. Neal’s bill – the Automatic Retirement Plan Act (ARPA) would require employers above a certain size to have or establish a 401(k) or 403(b) plan that covers all eligible employees, while exempting small employers, governments, churches and businesses not in existence for three years. The bill also allows for open MEPs and increases the start-up credit for small employers. Neal has acknowledged that his ARPA proposal does include a mandate, but told delegates to this summer’s NAPA DC Fly-In Forum that he believes the parties are amenable to moving in that direction. Rep. Bobby Scott (D-VA) will likely take over the Education and the Workforce Committee which oversees all matters dealing with workforce-related issues, including labor relations and employment-related health and retirement security matters dealing with ERISA. We may see the Department of Labor fiduciary rule abandoned by the Trump administration and Republican Congress to be advanced by Rep. Maxine Waters. Other proposals for affecting more than 10 million U.S. workers and retirees covered by 1,400 multiemployer pension plans is expected. Divided governments require compromise to get anything done and both parties want the support of older voters. Therefore, we may see some momentum on retirement policy that will help seniors: could restoring the fidicuary rule, improving nursing home regulation, and lowering drug prices not be bipartisan places to start? The politics leading up to the midterms are stranger and stranger. Not only is President Trump arguing with leading Republican Paul Ryan, about the Constitution, but the highest-ranking Republican in the Senate – Senator Mitch McConnell -- has called for cuts to Social Security. That is strange politics because Social Security is the most popular program in America, especially among the voters who are growing the fastest and who vote the most – people over 65. A poll one week before the election about Republican social and economic policy is a red flag for Republicans. 60% of Americans would prefer to reverse the Republican 2017 tax cuts than cut spending on Social Security, Medicare and Medicaid. This poll was taken a week after Senator McConnell said the Republicans would defend the tax cuts and cut Social Security, Medicare and Medicaid in order to curb the growing deficit, caused in significant part by those very tax cuts. The Republican Party has always been associated with opposition to Social Security. Economic historian Max Skidmore shows that the final vote for Social Security was lopsided--only 2% of Democrats voted against it (because it wasn't generous enough) while 33% of Republicans voted against Social Security. In the 1970s the conservative Cato Institute made shrinking Social Security through privatization its primary objective and in 2005 George W. Bush tried to replace Social Security with private investment accounts. The Bush privatization plan failed. Though Republicans supported it, no Democrat in Congress would agree and the balance was such the Republicans had to convince at least one Senator to switch sides. When Vice President Mike Pence was in Congress he opposed passage of Medicare's Part D, the drug benefit, and complained that Bush's proposal to partially privatize Social Security was not enough; Pence proposed deeper cuts to the Social Security program than President Bush. Just to be clear, the Republican tax cuts of 2017 are driving the deficit. Spending more than revenue causes a deficit. But Social Security is required by law to pay benefits only from its revenue and trust funds. Social Security is one of the few government programs with built-in fiscal discipline. Bottom Line: Though Senator McConnell may not have meant to publicize the Republican agenda to cut Social Security, Medicare and Medicaid, the long history of Republican opposition may be an example of what Sigmund Freud and modern psychologists believe--a slip of the tongue may reveal more of the truth than a well-constructed prepared remark. And in order to defend their expensive and regressive tax cut, Republicans may be preparing to cut America's most popular programs. A persistent story about Social Security, greedy baby boomers, and badly-treated younger people periodically rises from the grave. But the story is false. I hope that my shining the light of facts can help kill this false story. Spending on the elderly does not displace spending for younger populations. Societies that care about vulnerable people, regardless of their ages, are more generous. My study of 58 nations over 30 years shows that nations that are generous to their elders also are generous to children. The link is especially strong between good treatement for female elders and poverty programs directed at kids and education spending. In caring socieites, pension and education spending increase together, suggesting that when political forces ally the elderly and young families, social spending increases across groups. A 10% increase in spending on education (as a percent of GDP) is correlated with a 7.3% increase in spending on pensions. It seems nations making the political decision to enhance the lives of the old also do so for the young. But if it isn't greedy geezers, what are the policies and trends that are really hurting young workers? We can see the trends clearly: stagnating wages, rising debt, and high housing costs. Economist Dean Baker and the Economic Policy Institute (EPI) note the wages of a typical worker have barely risen in four decades, especially for men. So there are low prospects for a career with regular wage increases. EPI shows that in 2013, inflation-adjusted hourly wages of young college graduates were lower than they were in the late 1990s. And college completion is no magic bullet. Low and stagnant wages affect even those with four-year college degrees. And many recent college grads and people who took out loans but never finished a degree are having to finance more loans as a percentage of income, than young people have ever done before. Also housing costs in large cities where economic growth is strong and where young people go to find work are at record highs. Housing cost increases are easily outpacing inflation in many cities, making life especially hard for low- and moderate-income households and for first-time home buyers. So a lopsided and lackluster labor market, debt, and housing costs are the main problems facing the children of boomers, not their allegedly greedy parents. In fact, adequate Social Security and Medicare are a gift to Millenials and Generation Xers. These programs minimize the chance that younger families will need to support their adult parents, aunts, and uncles as they age. It is curious why this storyline and the myth of the Greedy Geezer persists. We hear over and over that the elderly and retirees are reptiles, with Social Security and Medicare falsely viewed as programs in which the "old eat the young." Dean Baker has collected some prominent examples: The Boston Globe had a story last year titled “baby boomers destroyed everything." And so does Thomas Friedman at the New York Times. There are exceptions to journalists misunderstanding Social Security: LA Times Michael Hiltzik reminds us how many young people are lifted our of poverty because of Social Security. The Washington Post’s Allan Sloan provides a similar clear statement of reality. And Trudy Lieberman in the Columbia Journalism Review puzzles over why the press too easily accepts that the meme the elderly are having it “too good “at the expense of the younger generations. Is Social Security too generous? Consider a modern a couple with two average earners with a combined annual income of $102,600 in 2017 dollars, drawing on excellent calculations from the Urban Institute. The projected lifetime Social Security benefits for someone turning 65 in 2015 were $624,000 compared with lifetime taxes paid of $557,000. That's an imbalance, but exactly what an insurance program expects to do. In an insurance program like Social Security, people aren't cheated. My health insurance has cost hundreds of thousands of dollars and I hope my health costs are a fraction of that. Medicare is expensive but not because of overly generous coverage. The American health care system, including Medicare, is inefficient. Americans pay twice as much for our health care per person as other wealthy countries without superior health outcomes. We pay too much for prescription drugs and costly medical procedures. But there are political barriers to change. Polls show bipartisan support for using the muscle power of Medicare and the federal government to bargain for lower pharmacy costs. But we don't have enough elected representatives who want these changes. Are the young opposed to secure systems for the elderly? No--young people want more security for Social Security and Medicare not less. One third of Social Security recipients are young people collecting survivor benefits or as a disabled person or dependent of disabled adult benefits for dependents. (The high number of direct recipients always surprises me, and I study this stuff for a living.) Moreover, the young are willing to pay more into Social Security -- about 73% say it is critical to preserve Social Security even if it means increasing the Social Security taxes paid by working Americans. There are plenty of generationally fair ways to increase revenue to Social Security and Medicare. Social Security and Medicare can be maintained and expanded by increasing revenue in rather straight-forward ways. We can raise the FICA total employer and employee (split evenly) FICA tax from 12.4 to about 15 percent of payroll. Or we can raise taxes less and instead increase the earnings cap on taxable annual earnings from $132,900 to something over $250,000 or beyond. If we don't make such simple and fair changes, then we are truly being intergenerationally irresponsible. But providing older people with decent incomes and health care does not rob younger people of their future. Instead, Social Security and Medicare, along with education and other programs for the young, help unite us across generations, making us mutually dependent on each other. That's a hallmark of a civilized and fair society. This is not a political column, it’s a push back on the political distortion of legal and math facts about Social Security. Recently political leaders, such as the Senate leader Mitch McConnell, as Michael Hiltzik writes in the LA Times, are gunning to cut Social Security benefits to reduce the federal deficit. And because it must balance its books, Social Security is prudently funded. It collects revenue and saves for expected costs. Currently, Social Security has a $2.8 trillion trust fund built up by the boomer generation paying more in taxes than needed to pay current benefits. The trust fund is a vital way workers save for retirement. With tax revenues and earnings and principal from the trust fund, Social Security is estimated to be solvent until 2034. After that, if it doesn’t get more revenue Social Security will only pay 77% of promised benefits. Social Security can't add to the deficit because it pays for itself. If revenue falls short, benefits are cut. And if you are wondering if the trust fund is real, here are facts to judge yourself. Workers do two things with their FICA taxes – we pay current benefits and we save by buying U.S. treasury bonds like many wealthy people, endowments, pension funds, foreign countries, and foreign investors buy U.S. treasury bonds. U.S. treasury bonds are highly sought after by savers all around the world. For many reasons the U.S. enjoys the exorbitant privilege of having all countries consider dollars the safest currency. When we, through Social Security, invest in government bonds, the government creates intragovernmental debt. When the Yale endowment buys the bonds the government creates external debt. And just like all trust funds when the Social Security Administration draws on the trust fund to pay its bills it sells the bonds. The U.S. can’t practically decide to default on Social Security’s bonds or anyone else’s U.S. treasury bonds. Defaulting would "save" money for the government, but countries, like Argentina, default, not the U.S. It is hardly correct to say Social Security is "adding" to the deficit any more than any other holder of a Treasury bond. I disagree with the view that the Social Security indirectly contributes to the on-budget deficit because the interest payments it receives from the general fund are on the unified budget and receives funding from income tax revenue on Social Security benefits, which is technically on-budget. The money you pay for Social Security through the FICA contribution is not the money you get out. You are paying mostly for the benefits of people receiving Social Security today. But for decades since 1983 workers were putting money in a "savings account” - the Social Security trust fund.